Many of you have told me how much you have connected with the "relationship metaphor with Mr. Hashimoto," which is original to, and woven through, "Walk Talk Dance Sing"-- revealing the "romantic" layers to this health affair (swoon, ;) ) This seemed a perfect fit as I was crafting this script and looking for ways to "humanize this issue." I wanted to avoid stifling this issue further with a strictly "medical and technical heady 'numbers' experience." Instead, I chose to get to THE HEART of the matter using a creative narrative, with imagery that allowed for a more visceral viewing experience. The "hashi-relationship" shows up in many ways in WTDS, including the relationship to "doctors and the system," relationship to the dis-ease itself, and our relationship with ourselves--highlighting where we experience the abuser/enabler dynamics of silence, "obedience," removal from society/isolation/dwindling confidence, self-loathing/guilt/shame, dishonesty, disconnection, pain, and fear. Leaving us with the burning question: where is the love? I created this powerful metaphor of a relationship with Mr. Hashimoto as a means of elucidating how we initially "externalize" this health issue and remain dis-empowered. We imagine we are somehow "disconnected" from it, as though we somehow "caught a flu bug" or "it's a genetic thing to which we are powerless victims." As I see others offer their take on Mr. Hashimoto, I am compelled to preserve (and protect!) the original progressive WELLNESS intent and integrity of the metaphor and the message: this wellness journey is one of ENDING the relationship, recognizing/healing the patterns of "blame, anger, complaining, and co-dependency," and taking full ownership/responsibility for the relationship one has with ONESELF. This is all about "evolution" and NOT remaining stuck in the belief that anything OUTSIDE of oneself is the cause or the answer, moving beyond the deeply ingrained "Damsel in distress" archetype. As Dr. Gabor Mate so perfectly states: We are not to "blame" for our condition, we are not "at fault" here, we did not willingly/knowingly bring it on, but we are RESPONSIBLE (response-able)." "This is the most awesome video! It touched me deeply! The presentation is ingenious & it drew me in further with each chapter!. By the end, I felt like I had connected with so much of the pain I held within the cells of my body which is no doubt a huge trigger for my Hashi's! Thank you so much!" 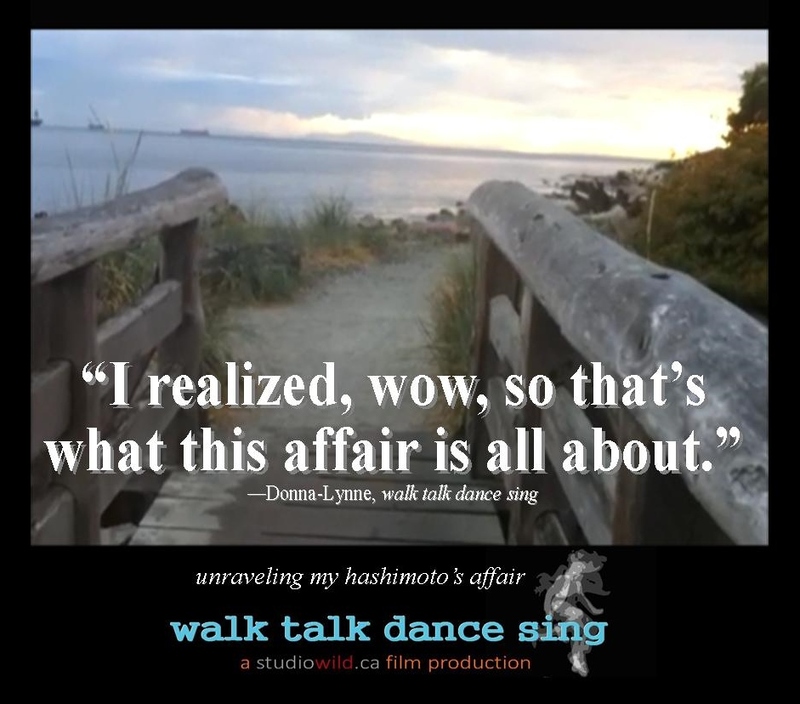 FYI: here is the tune, "MR.HASHIMOTO"
Movie Gift Giving for Everyone! Send the film to a friend via email! "beautiful message" "informative!" "emotional!" "a great service!" 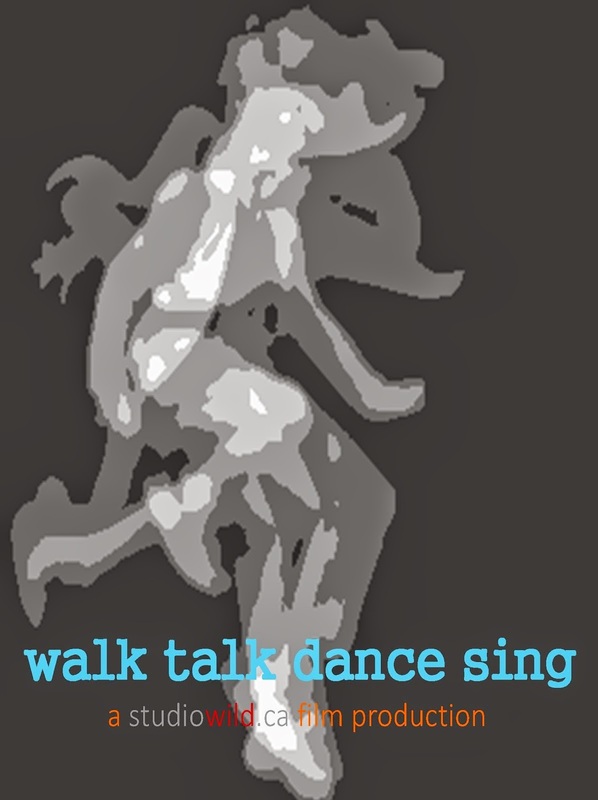 The Hashimoto's Project "walk talk dance sing" Facebook page! This story-blog is intended to entertain, engage, educate and enlighten, with the highest of intentions for your health and wellness. The thoughts and ideas presented here are not intended in any way, shape or form to replace or impose medical or healing advice. Always consult with a knowledgable health professional, your trusted advocates, and your own inner wisdom, before undertaking or altering any treatments or therapies. 2011 Copyright Donna-Lynne Larson. All Rights Reserved. Watermark theme. Powered by Blogger.